REVERSIBLE ACTIONS. Seminar about art, education and territory. 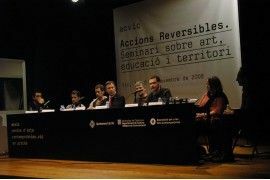 This seminar is posed under the title of reversible actions starting from the relationship established between education | art | territory. It constitutes a reflection on the contemporary artistic production that develops educational activities, which is placed in relation to specificities of places and which require a network connection in order to carry them out and communicate them. From an artistic point of view, pedagogy has often been relegated to provide complementary value to cultural production with the profile of downgrading or decreasing its quality and critical position. From an educational and social action point of view, the work of the artist is often considered rather closed to cooperation on educational projects or in community involvement in local contexts and institutions. These conferences aim to suggest that these opposed visions annul the capacity to define new settings and place in evidence that they have been surpassed by projects that act in a new critical way towards these types of attitudes. If pedagogy consists of the production of experiences, knowledge and values with the resources we have within our reach, if these resources are transported through artistic production and are posed in relation to experiences arising from the context, then the production of knowledge, values and experiences can generate regenerated and learnt cultural policies based on collective processes. From this starting point and as a field of experimental action, the art-pedagogy relationship does not seek to educate through art, or seek out new audiences for art, or look for differences between the institutional and self-run space, but consists of generating situations in which it is possible to experiment with the transmission and exchange of knowledge or experiences, investigate artistic production and use techniques and means that enable communication and transportation through the incorporation or revitalization of social dynamics. Is this possible? 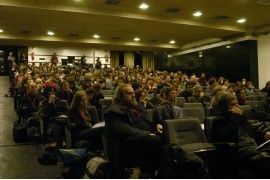 The general lines over which the seminar will be based are articulated over three interconnected elements: the centers of artistic production, the pedagogic work and the relationship networks. Reversible actions approaches the concept of reversibility as the condition in which all the elements that take part are present with different degrees of reciprocal dependence. Reversible or inverse engineering consists of obtaining the information about a product accessible to the public with the aim of determining what it is made of, knowing how it works and being able to reorganize it with new contents. In essence, it constitutes a process for innovating what is often applied to software or products. In the sphere that concerns us the following question is posed: Which way can one analyze separately the three components: art, pedagogy and region, in order to later reorganize them in sequences that make sense? How can we reorganize them in order to design projects or, and why not, cultural policies? The projects and proposals presented at this conference suggest a negotiation between pedagogy and art, between diverse institutions and different cultural agents that form part of the social fabric. Institution and cultural value are not antagonistic concepts but increasingly struggle to conquer their own spheres, negotiate to share possible spaces. Centers of contemporary creation and self-run projects seek out common spaces. This crossing, therefore, presents us with a possibility of collaborating, cooperating and working on educational projects, not as the result of bipolarized tension. This is why the conferences suggest in their timing a progressive breakdown between projects, institutions and art centers, analyzing the reversible actions that are derived from this process of negotiation. To discover the possibilities of acting and opening up a debate about the new forms of contemporary cultural production and their relationship with educational and social institutions. To understand and analyze the task of cultural production from the pedagogic point of view and the development of cultural policies. To rethink the pedagogy model in relation to the new forms of contemporary cultural production and knowledge, and through the prism of the new forms of cultural pedagogy, visual culture and artistic education. To reflect on the new role of the production centers and centers of contemporary art in relation to local development work, the relationship between groups and work in networks as forms of cultural pedagogy and policy in action. Cultural policies of proximity to establish relationships with the socio-cultural contexts. Work in networks and group practices as forms of cultural policy. The tasks of the new production centers in relation to the new forms of production, collaboration and cultural diffusion through educational actions. Pedagogy as a form of production and articulation, analyzing strategies for participation and negotiation between cultural institutions, production centers and public objectives. Educators, artists, cultural managers, municipal technicians of culture. Students of art, management and cultural development, social work, pedagogy, education. 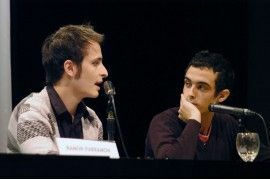 10.30h Welcome to the introduction of the seminar by Ramon Parramon and Javier Rodrigo, seminar director’s. Wanda Wieczorek has worked with several contemporary art projects and social and political movements of art in urban space, including the Culture and Social Movements and Park Fiction. 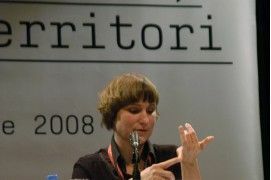 She was assistant director on the Documenta 12 Advisory Board and Documenta 12 Halle. Mediations, contemporary art and social construction. Experience in Brazil. Lilian Amaral is audio-visual artist, researcher, and promoter. Holds a PhD in Visual Arts from the University of São Paulo. Commissar of the House of Memory. Director of the project Open Museum: the City as Museum and the Museum as Artistic Practice. Tower Songs in Fatima Mansions: Critical Co-ordinates for a Community Based Cultural Production. Ailbhe Murphy is an artist and PhD candidate at Interface, University of Ulster Belfast. 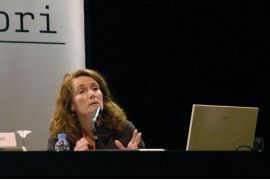 Her research focuses on the relation between collaborative art practice and regeneration processes in Dublin. 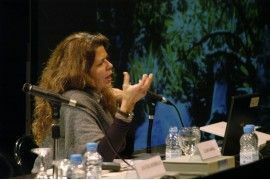 In 2003 she initiated the cross city project Tower Songs and in 2007 co-founded Vagabond Reviews, an interdisciplinary platform for art practice and critical inquiry. Stories from What>, meeting space for visual culture. Herman Labro is the director of the Kunstbank and Rika Colpaert, staff member, are both visual researchers. What> is about creating a space where things can happen, a place where coincidences are welcomed and encouraged. Where unusual encounters can take place. It’s about possibilities, embracing unexpected roots to spring off, is a project of the Kunstbank. What the artists and the educators talk about when we do art projects with pedagogical aims? 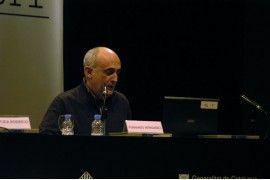 Fernando Hernández is a teacher of visual arts education and visual culture at the Universitat de Barcelona. 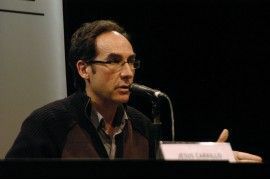 Co-director for the Centre of Studies about cultural and educational changes at the Parque Científico de la Universidad de Barcelona. 18.00h Round table with all participants Cultural pedagogy and educational work in the twenty-first century. Round table discussion with all the participants, chaired by Javier Rodrigo, researcher into critical pedagogy and art educator. Invited professor in the master degree Projects and Studies from Visual Culture at the Universitat de Barcelona. Cascade: creativity as a two-way flow. Loraine Leeson is a visual artist and director of cSPACE at the University of East London, where she is a Visiting Research Fellow. 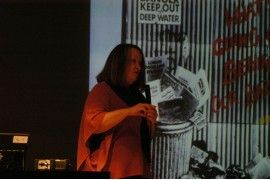 Since the late 1970’s Loraine’s work has engaged with communities around issues of regeneration, using the arts and media to bring individual and collective ideas into the public domain. Aulabierta: self-management of knowledge and production. Aulabierta is a design and construction project of a self-managed learning community created by a diffuse group linked to the University of Granada. It is an initiative of the AAAbierta Association. Between the practices of social cooperation and creative production. 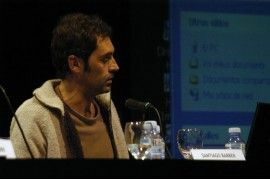 Santiago Barber Is from artistic and communicative production where he share experiences with different social movement in the framework of urban regeneration processes and social self-organitzation. Old and New Trends of Public Address in Artistic and Cultural Institutions. Ideological guidelines and possibilities for criticality. Jesus Carrillo is the head of The Cultural Programmes Department at the Museo Nacional Centro de Arte Reina Sofía. Researcher of contemporary art and culture. Reversible production between art and social actions. Moderated by Ramon Parramon. 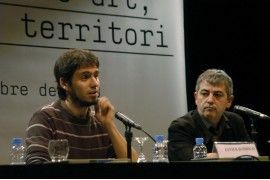 Artist, director of IDENSITAT and co-director of the Master’s in Design and Public Space at Elisava-UPF. Limited places according to the room’s capacity. There will be service of simultaneous translation. An attendance certificate issued by the University of Vic will be handed over. There is also the possibility of obtaining a freely chosen credit presenting the corresponding progress report. You only have to present a memory of the acquired know ledges during the seminar.